grab the attention of people as they write on them and look at dates, and work great as a marketing tool because your logo is a part of their view no matter what time of year. They are nothing flashy, but calendars are used daily and are often the savior of a day. Your brand would receive that daily exposure, and reliability. representing a different product or service that your offer. Or, you can take a more subtle approach by designing the artwork around changing seasons and adding you r logo as part of the top or bottom of the calendar mount. Visit BRAVA Marketing to find the promotional products for your brand today! Look at your desk. Is it scattered with unread papers? Adorned with family photos? Do you have toys that help you think? Maybe a calendar? The way you organize and decorate your desk reveals a surprising amount of information about who you are. Uncommon objects say… you’re creative and open to new experiences. openness. Meaning they embrace new ideas or experiences and are often very creative. Inspirational posters and messages say… you’re anxious. People who pepper their desks with inspirational statements are typically a bit more anxious. The classic Type A personality. If you have inspirational posters up, don’t worry that they’re sending the wrong message. Anxious people are often highly successful in the workplace and the sayings they choose to display communicate their values to others. An inviting space says… you’re extroverted. People with especially inviting offices (including an open door, comfortable chairs, or a candy jar) tend to be very social. By creating a welcoming space, they show others that they’re approachable. And often get many more visitors to their space than the introverts. An organized desk says… you’re dependable and timely. People with organized desks tend to be more conscientious, meaning that they are reliable, task oriented people who plan well and get their work done on time. When you go into a new space, look for a desk calendar first. 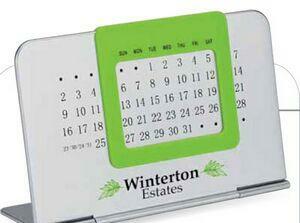 Since an up-to-date, used desk calendar is another sign of a conscientious person. If such a small thing like a desk calendar can make your brand synonymous with being dependable and timely, why wouldn’t you want to take this marketing opportunity? 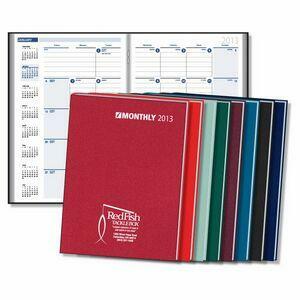 Visit BRAVA Marketing today to find the perfect desk calendars for you and your brand today! 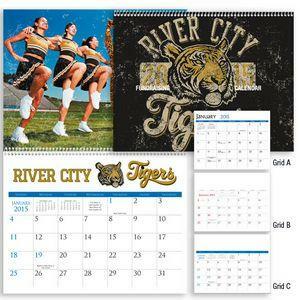 To check out all of the different calendars available and how to customize them, click right here.